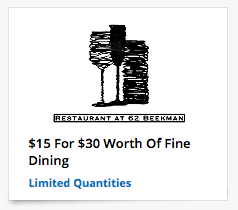 Local Deal: $5 off Double Take Offers Code = as low as $5 for $20 Gift Certificates! = $8 after promo code! Reg $24! 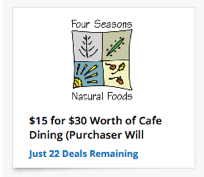 "I just received a promo code for Double Take Offers. 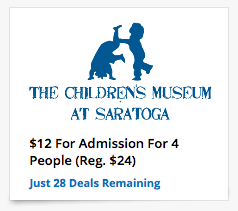 Ex: Admission for 4 to Children's Museums in Saratoga, Go! In Glens Falls and MSCi in Rensselaer for $10! You will receive $5 OFF!!!! I got a certificate for $30 worth of food at Paesan's Pizza in Rotterdam for only $10!!!!" 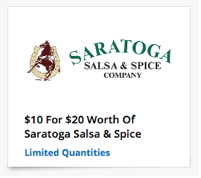 = $10 for $30 after code! = only $5 for $20 after code!